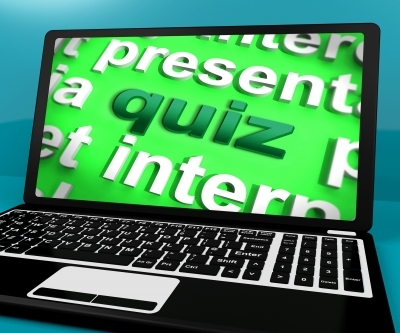 Online quizzes and tests are an essential part of the eLearning process. Not only do they allow instructors to gauge the progress of their students, but these exams can also enable learners to more effectively retain the information they’ve acquired throughout the course. As eLearning professionals, its our duty to stress the importance of test preparation, and to share invaluable strategies that can help our studies to enhance their performance during online assessments. In this guide, we’ll go over some of the most beneficial strategies that you may want to discuss with your learners. Or, if you happen to be enrolled in an eLearning program yourself, then these tips will allow you to improve your scores and get the most out of your educational experience online. This isn’t necessarily a tip that you can utilize when actually taking a test online, but it is one that can make a significant difference in your overall score. Be sure to prepare for the test well beforehand. Good study habits go a long way when it comes to taking a test, regardless of the subject material being assessed. 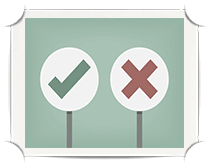 Take practice online quizzes, create flashcards, form study groups. Do whatever you can to learn as much as you can before clicking on that “take test” link. Also, don’t wait until the last second to complete the exam if your instructor has given you a deadline. This will only lead to stress and frustration, which will not help you to achieve a higher score. Get your computer ready for the exam. Getting your computer ready for the exam is, in many respects, just as important as preparing yourself. Disable pop-up blockers (as many courses involve pop-up screens), opt for a direct internet connection for added stability (rather than wireless), and be sure to use a browser that is compatible with the testing platform. This will ensure that your testing experience goes smoothly, and that you don’t have to call IT support or remedy any connectivity issues while you’re trying to take the exam. Only launch the test when you are ready to begin. Only click on the start button when you are absolutely ready to begin. This is especially true of online quizzes or tests that are timed, as the time starts as soon as you load the exam window. Also, be sure that you have everything at-the-ready, such as any writing utensils and paper for notes or calculations and other items that may make your testing session more comfortable. One of the perks of taking an online test is that you can usually do it in an environment that is relaxing and conducive to learning, such as your living room or home office. So, take advantage of this fact and create an effective, distraction-free testing space that will allow you to really focus on the task at hand. Go over the entire test and answer the less challenging questions first. Read through the entire test and answer the questions that immediately jump off the page (or screen, in this instance) as being “easy”. Getting them out of the way quickly will allow you to focus on the questions that present a bit more of a challenge. For example, if the questions in section three are answered in the beginning and don’t take much time to complete, then you can focus on the material in section four and devote more time to answering those, more difficult, questions. Read each question carefully and pay attention to the clock. Make sure to examine each question carefully, while still paying attention to the clock. Notice the wording, the sentence structure, and determine exactly what is being asked, but don’t take too much time on any one question. If a question is challenging, then come back to it later if you can. If you are unable to navigate to the question again at a later time, then make an educated guess and move on. If you don’t know the answer to a question, then carefully examine each answer and eliminate those you know are incorrect. This will allow you to turn the odd in your favor, given that you will be reducing the number of questions you’ll pick from when making your educated guess. Remember that this is a last resort, however. You should first try to read over the question carefully several times if you are finding it challenging, in order to try and recall information you’ve learned and to fully understand the question. Utilize all of the tools available to you. Use every tool that’s available to you. Even a piece of scrap paper can make a world of difference when it comes to figuring out a math equation or jotting down notes for an open-ended essay question. Figure out which resources you have access to during the test (and which are allowed) and use them to your full advantage. Thoroughly develop your ideas when dealing with a written response. If your test features a written exam section, then you’ll want to develop your ideas and thoughts fully before you begin writing. Try to write an outline or brainstorm your ideas so that you can plan the flow of the response or essay. Also, be sure to proofread your answer before submitting, as this will help to avoid errors and will also enable you to ensure that it is coherent, concise, and accurate. Keep in mind that different online test strategies work for different courses or curriculum. For example, online test taking strategies that may be effective for college courses aren’t quite as helpful for high school exams. So, you’ll want to pick-and-choose strategies that will work best for your students, based upon their grade level, the test’s structure, and core content being assessed.